Pictures, Synopsis, and author info from Goodreads.com. 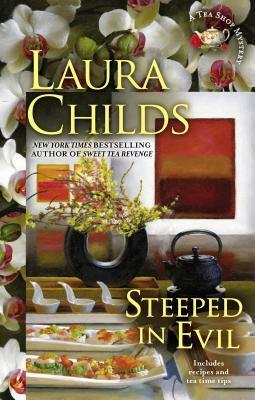 This is the first book in Laura's Tea Shop Mystery Series that I have read. I enjoyed it, but it wasn't my favorite by Laura. I liked the setting, Charleston, SC is a very intriguing city. I am not a tea drinker, I don't like tea, iced or hot, so that part of the story didn't appeal to me a lot. I did think the tea shop that Theodosia owns is charming though, I probably wouldn't care for what they serve there. I did like the fact that this cozy kept me guessing till the end. There were very few suspects, so therefore, it was hard to try to figure out who the killer was. I will probably read more books in this series because they are very well written with a believable plot. If you enjoy drinking hot tea and all the delicacies that go with it, and also love a great mystery, then this is the book for you.